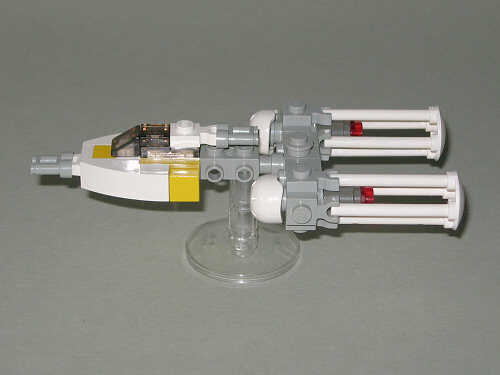 It's been a while since my last Star Wars mini model has been posted here, thus I think it's time that we move along. 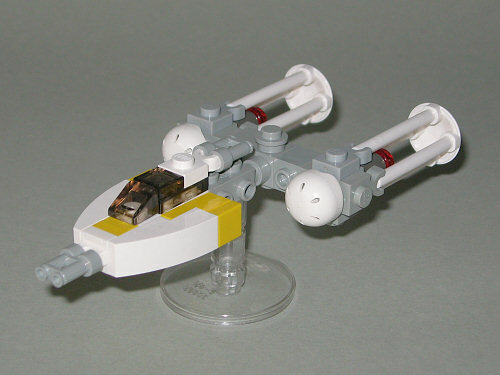 Today I'd like to share an Y-Wing Starfighter with you. Due to the complicated engine fuselage, this is a particular hard to build model with increasing difficulty the smaller you get by maintaining all details. I hope you will enjoy the following images. See you soon with more new mini models! Nice, I really like that model. I do espesially like your solution for the engine fuselage. Nice mode, I like the use of helmets for the front of the engines, the use of binoculars is also I nice idea. I also like the technique you've used for the engine fuselage, can't wait to see your next model. Nice job. It looks just like the bigger version especially the engines. Great work again Legostein! The helmets fit perfectly on there! I would really like to see your site getting updated more often! 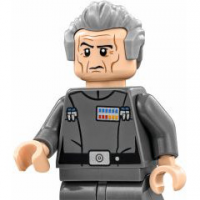 It seems that its a bit hard on your site to get to the minifigs category, I don't know if you knew that, but could you fix that? wow, just wow. The idea with the helmets is so great i even did not realised that you have used the skater helmets. I do not want to critizise, but i am just curious about the fuse detail. The bar to plate with clip connection is an so called illegal build, isnt it? I have never seen this ins sets and think it stresses the clips a bit more than it is used to be. I'm a great fan of your work. Although I try to aim to using less pieces and legal connections only, your work provides a great inspiration to me. This model, is really nice. 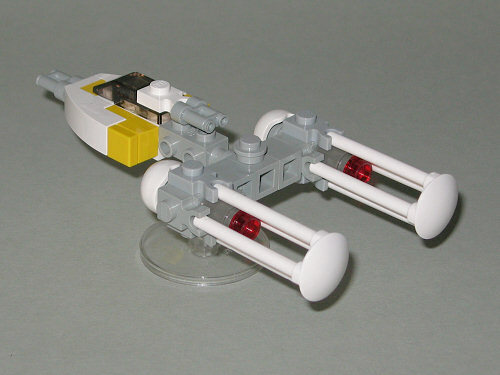 I like how you've improved on your previous design (th Y-wing from the Clone Wars). That is apparent in the great domes and the beautifully shaped cockpit. The body looks a little bit undersized, if I compare it to my reference pictures (in fact, I used exactly the same piece for the body on my model!). And is the construction with the bars and clips very stable? Anyway a great addition to your already amazing collection. I do hope you keep updating it regularly!